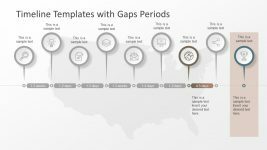 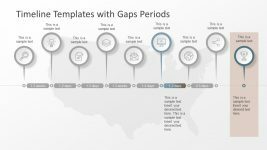 The Visual Timeline Presentation Template with gradient title bars show a gap period between each phase. 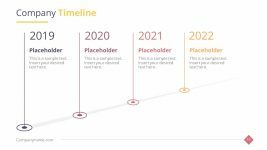 The 8 step timeline template of project management contains a shape of trophy to portray successful completion. 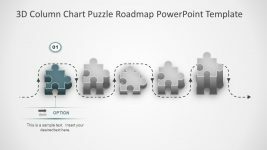 The PowerPoint presentation slide highlights this circular pin icon of trophy as an outcome of 8 phases. 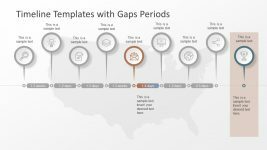 The editable template enables users to recolor the segments, move the icons and resize its elements. 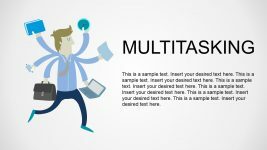 All this can be done with few simple clicks. 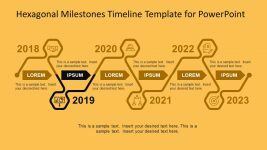 Therefore, this timeline template is easy to use and modify for last minute presentations. 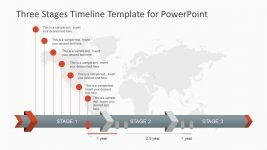 The interactive layout helps presenters to achieve maximum engagement.